Next So Relaxing. So Luxurious. So Spa. Crystal-infused beauty and wellness products have been incorporated into everything from skincare to bras. It seems there is no item that can’t be crystallised and the trend isn’t showing any signs of slowing down. Experts claim that crystals can help your cells thrive on energetic and physical levels and celebrities such as Gwyneth Paltrow, Victoria Beckham, Miranda Kerr and Adele have adapted crystals into their everyday regime. Here are our favourite ways to incorporate crystals into your life. Crystal bras are not only beautiful by design, they also bring the crystal healing power that is associated with each gem. Created by Max & Vera, each bra has a crystal front with detachable crystal charms for various affirmations. Interchangeable, the charms can be bought individually to change depending on the mood or spiritual guidance you need for that day. The bra also comes with a secret crystal pocket on the inside of the back-strap to add any extra gems you might need for the day. 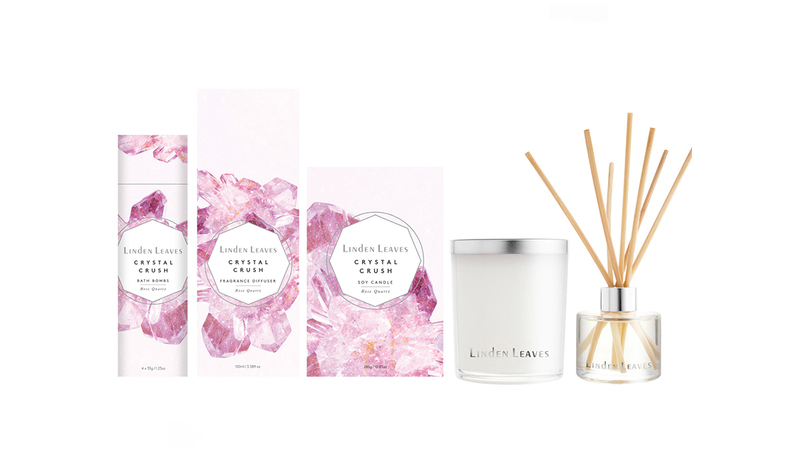 The new Crystal Crush collection from Linden Leaves comprises of several beautiful products including hand-poured soy candles, fragrance diffusers, fizzy bath bombs, nourishing hand cream and bonbons. Inspired by the beauty of Amethyst and Rose Quartz, they have created two scents that perfectly suit the properties of each stone. Skincare brand Aquarian Soul has created an exfoliant that not only infuses the product with the medicinal power of crystals, it also uses finely ground crystal powder to add an extra scrubbing boost. This is then mixed with wildflower, honey, sugar, rose hip and essential oils to remove excess layers of dead skin. One of the most popular crystal crazes, face rollers, have been seen on every beauty bloggers feed as they rave about the incredible properties of the roller. Although its sudden rise in popularity, this isn’t a new beauty trend and has been an integral part of Chinese beauty regimes since at least the 7th century. The face rollers are often made of either rose quartz or jade, both known for decreasing the puffiness, inflammation and tired appearance of skin. The face roller is a gentle massage for the skin, explains celebrity facialist Ling Chan. “Just a few minutes of massage is very anti-aging. We overuse the muscles in our face—whether we bite our teeth or stare at the computer for too long. The roller can break through the blockage.” Ling’s clients include Miranda Kerr to Behati Pinsloo. 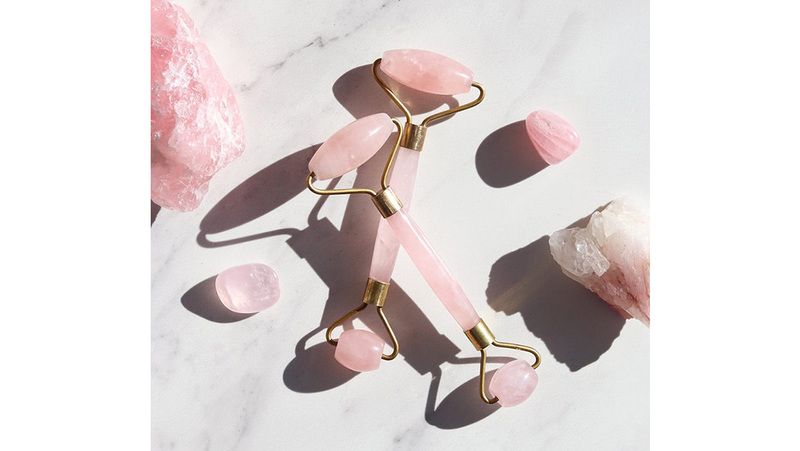 You can purchase a rose quartz crystal face roller from New Zealand company The Facialist. Crystal-infused masks are a popular beauty choice. Seattle based brand Herbivore has an emphasis on safe, non-toxic and highly effective crystal-infused products. 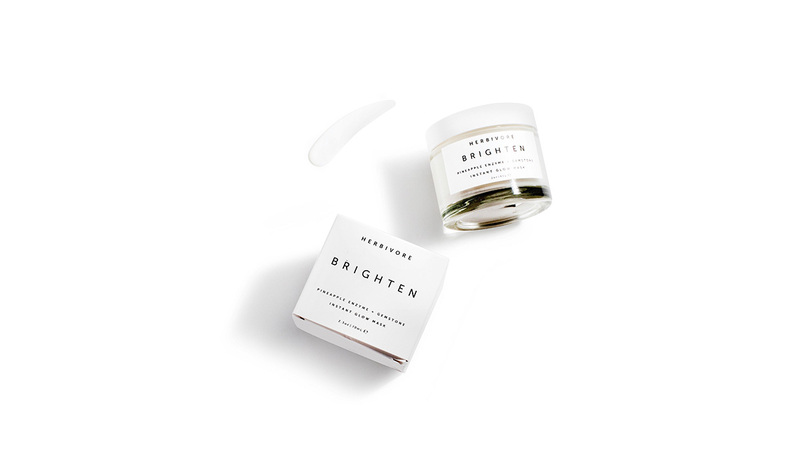 Their Brighten Pineapple + Gemstone mask accompanies the brand’s holistic natural approach. The mask uses micronised Brazilian Tourmaline gemstone along with Fruit Enzymes and Rice Powder. The mask illuminates and energises the appearance of skin, increasing radiance, softness and renewed appearance. 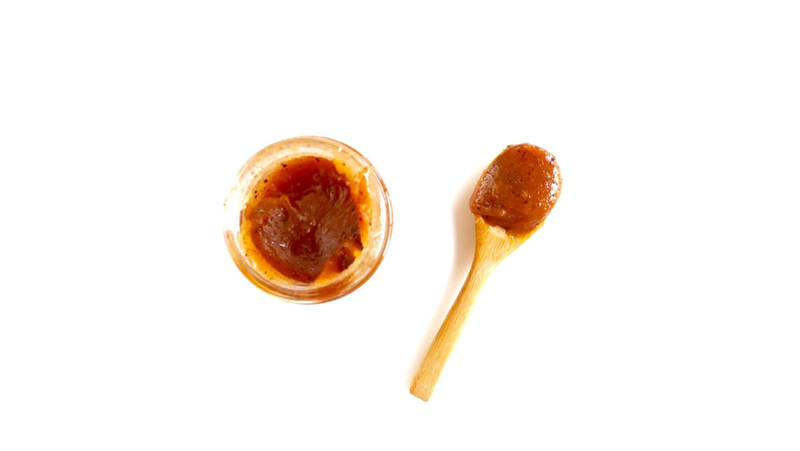 According to Herbivore, the Tourmaline Gemstone is an essential ingredient in the mask and “naturally brightens and illuminates the complexion. It also creates a slight warming effect and increases circulation within the top layers of the skin leading to healthier skin cells and more vibrant skin.” The stone is also known to promote detoxification and special ability to generate an electric charge and emit negative ions and infrared rays. Crystal-infused water bottles are not just the most photogenic of the crystal products; sure, they are an excellent addition to any wellness-inspired ired flat-lay, but they are also great for mental rejuvenation. 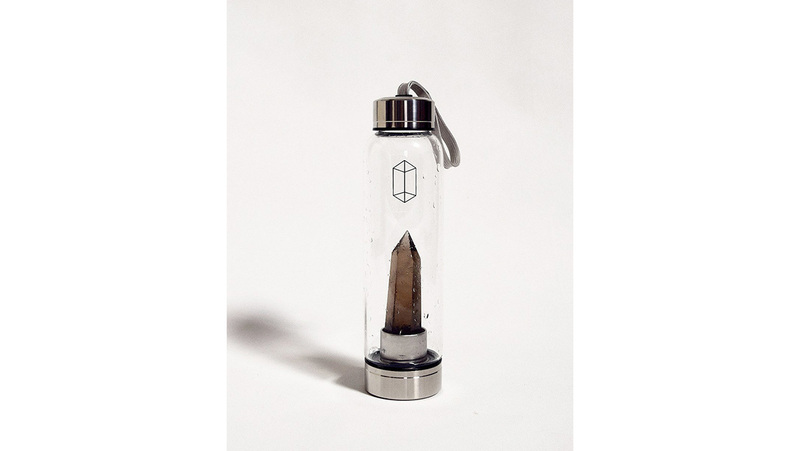 The intent behind the crystal elixir water bottles is to infuse the water with the natural properties and power of the crystal’s energy. As we know the best beauty secrets come from the inside and crystal infused water bottles might be the way to go to get glowing results. Rose Quartz is a stone of the heart, a crystal of unconditional love. It carries a soft feminine energy of compassion and peace, tenderness and healing, nourishment and comfort. 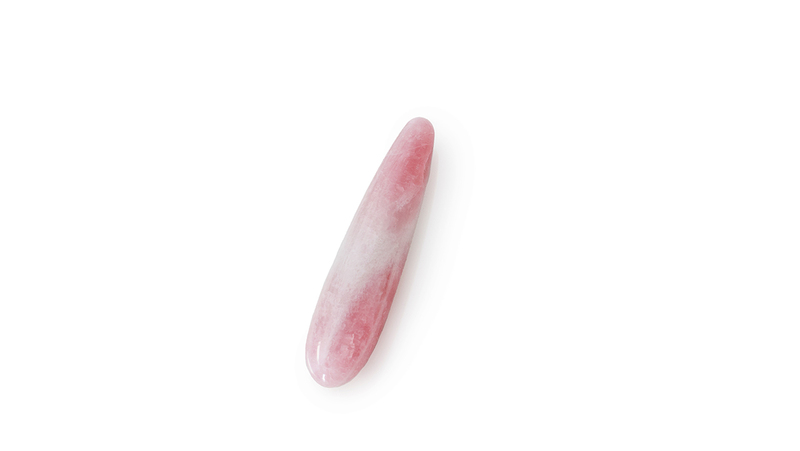 Designed for a more natural self-pleasuring experience, these crystal wands from Rosie Rees have their own crystal healing energy, loving vibration, and smooth, sleek finish which leaves you feeling full of your own love.